Wooden animal rattles in 4 designs; fish, frog, elephant and zebra. 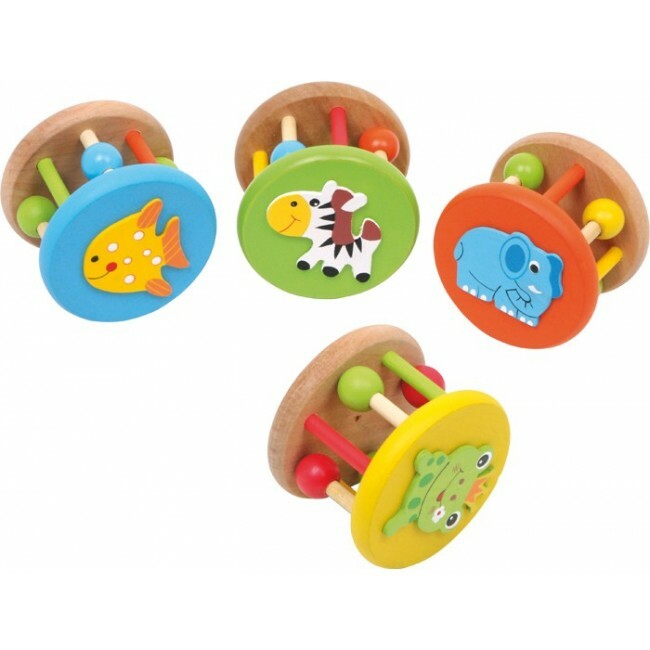 Made of sustainable beech wood these rattles are lovely to hold and will stimulate the senses of hearing and touch. They come with a small bell and beads that add further play and learning value. Suitable for babies and toddlers. 5.5 x 7cm If a certain design is preferred please select from those available below.